I’m going to start posting monthly targets on the blog to keep me focussed. Let’s see how it goes! Writing Targets: Finish editing REBEL and send it off to the lovely agent. On a tight deadline for this one, trying to get it all done and dusted ASAP. Blogging Targets: Books I’m Looking Forward to in 2013, some New Years babbling about personal changes, a review of Seraphina and some sketchbook scans. Art Targets: Clothing studies for REBEL, life and reference drawing. Art is low priority this month because writing is going to be quite intense. 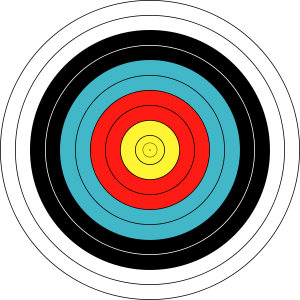 Have you got any targets to aim for this month? Let me know in the comments! @Miss Cole Thank you! I’ll need it! This month, I want to start editing my NaNo project (the alien in Victorian London story) and try to stay on top of reading, blogging, and life in general. It’s not an easy balance, but the trick, and perhaps the *real* goal of the month is to keep my priorities in order, and not to feel bad if things of lesser importance fall by the side in favour of more important things. @Colin D Smith Thank you Colin! You two are amazing, I really appreciate the optimistic thoughts. :) And I’m so happy to see the alien in Victorian London story going places! :)Have you seen the Doctor Who Christmas special yet? It seems like the kind of episode you’d love.